Hudson County Prosecutor Esther Suarez has announced that the Office of Hudson County Prosecutor and North Bergen Mayor Nicholas Sacco will be hosting a free workshop “Fraud Affects Us ALL”. Detective Josue Martinez of HCPO along with a Special Agent of the Federal Bureau of Investigations and a Postal Inspector of the U.S. Postal Inspection Service will present the workshop “Fraud Affects Us All” to explain the necessary steps of how to protect yourself and secure your records including such topics as identity theft, debt collection, investment fraud and charity scams. The workshop will be held on Tuesday, May 2, 2017 at 6:30 to 8:30 p.m. in the Community Room in the North Bergen Library located at 8411 Bergenline Avenue in North Bergen. 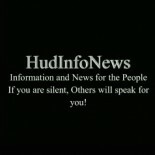 This entry was posted on April 26, 2017 by HudInfoNews in Community, discussion, education, Information, organizations, Proactive Concerns, public safety, rights, safety, solutions, Uncategorized and tagged business, collection, debt, education, fraud, Hudson County, identity, Josue, Martinez, news, people, Postal, prosecutor, scams, seminar.